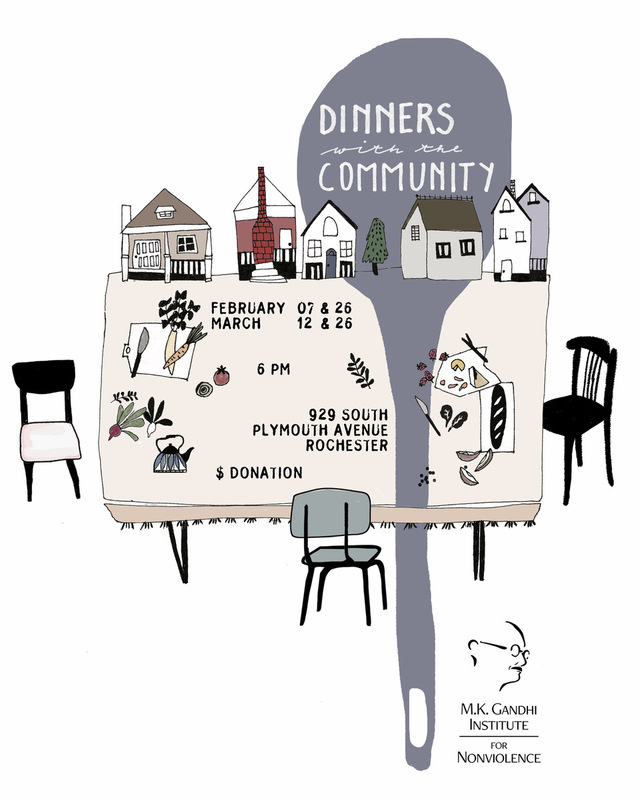 Join us for our “Dinners with the Community” series as part of this year’s season for nonviolence! Let’s connect, talk, mourn, celebrate, exchange stories, create ideas, dream, and get to know each other over a nice shared meal! Bring a dish if you can, but if you can’t don’t worry, we’ll be cooking up a few of our own. Participation is donation based, just give what you can. Everyone is welcome — all we ask is that you bring curiosity, respect, and an appetite!